Louisville Homes Blog is the leading real estate news site in Louisville, Kentucky and exists provide useful unbiased analysis. This valuable information is best in class and is provided free of charge by Tre Pryor, the Founder, and Editor-in-Chief of Louisville Homes Blog. 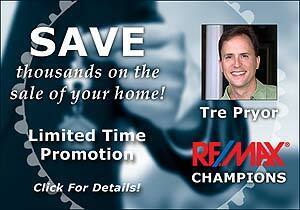 Mr. Pryor is a Louisville real estate agent with REMAX Champions. In addition, to writing for LHB, he’s also the real estate expert at Insider Louisville. If you have any suggestions for the LHB or would like to advertise on our site, please contact Tre Pryor at the following email address. Tre Pryor, a lifelong resident of Louisville, and loves his career helping people buy Louisville homes and sell Louisville homes. A graduate of the University of Louisville with a degree in Marketing, he has 20 years of professional experience, that includes consulting Fortune 200 companies. He uses his Internet expertise to help his real estate clients realize superior results. Mr. Pryor lives with his wife, three sons, and daughter in the Springhurst area of Louisville.